Welcome to Mosaic Counseling Group! rencontre senior femme continue reading this actividades para solteros miami como conocer gente de otro pais por facebook mujeres solteras en san miguel el alto jalisco site de rencontre pour ado bruxelles http://adamsisco.com/?mikity=site-de-rencontres-traduction-anglais&900=92 find here dating edenvale http://stlukeslutheranchurch.org/valkirty/6724 Welcome to Mosaic Counseling Group’s blog and website! We are glad that you have found us, whether you are long-time friends, or you are just now stumbling upon our blog for the first time. We at MOSAIC are a team of seasoned professionals, from varying backgrounds, who have come together to serve our community through mental health counseling. We are passionate about what we do and we are excited to begin this new adventure and to share it with all of you! 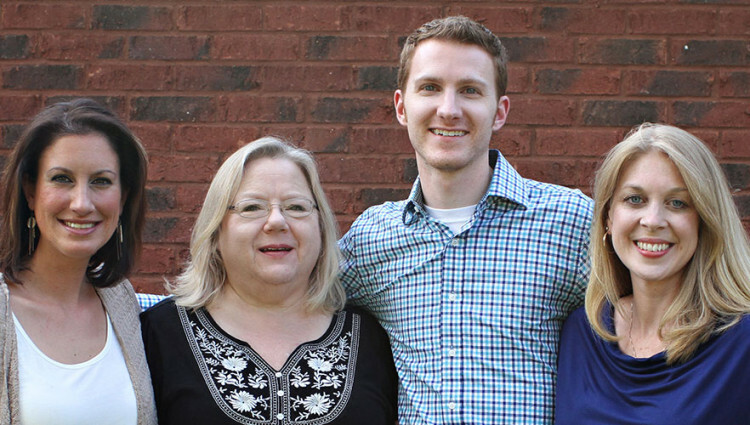 Our team includes Ann Shannon, Rhonda McGinnis, Mandy Schultze and Zach Johnston. To find out more about each of us individually please check out the “About Us” section of our website. We met at a previous organization, and throughout the past several years recognized that we shared a unified vision of our professional goals and hopes for future practice. As we each grew professionally we recognized that our vision of how mental health services should be provided were similar. Along with our similar vision for practice we brought with us a shared passion for expressive arts and eclectic therapeutic styles. With a diverse range of professional experience including education, child welfare, ministry, office administration, and even real estate we felt as though we each brought something unique to the table. Fast forward to early 2014 when we collectively began to feel the stirring that “the time is near” to move forward with making our dream, vision, plan a reality. Doors began to open, and paths were made clear for us to open our new practice. On May 19, 2014 Mosaic Counseling Group officially opened its doors for business. It has been an incredible journey up to this point, with many challenges and blessings along the way. We firmly believe that we are exactly where we need to be – doing exactly what we need to be doing. Based on the comments we have received from many of our clients, MOSAIC has become that safe, warm, collaborative environment where they can experience personal growth and healing. We will be updating our blog several times a month with updates and news about MOSAIC as well as posts on topics such as parenting, art therapy, and trauma as well as other basic living skills. Be sure to add us to your RSS feeds or check back with us regularly. You can also follow us on Pinterest, like us on Facebook,or check us out on LinkedIn! AND of course we could not have done this without our families and friends who provided donations, love, and countless hours of hard work. We so appreciate you all and are forever grateful!